Are you looking for a Friesian that has the talent to go ALL THE WAY in dressage? 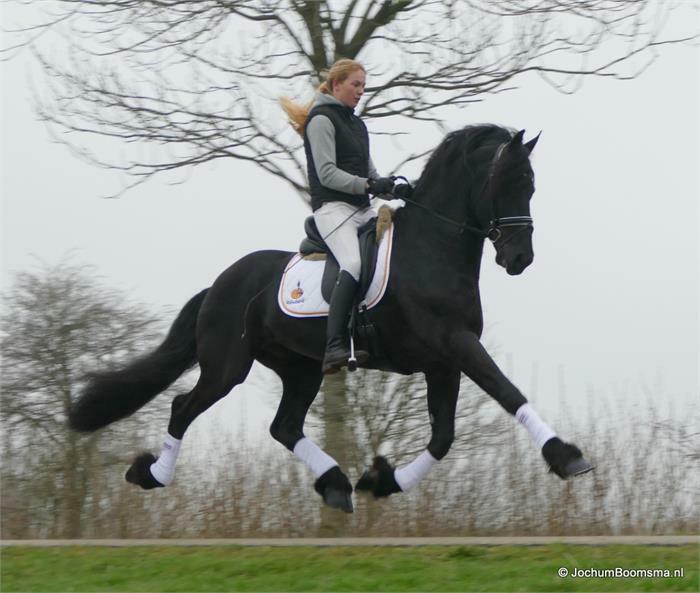 Friesian Marketplace is HONORED to offer this Champion! 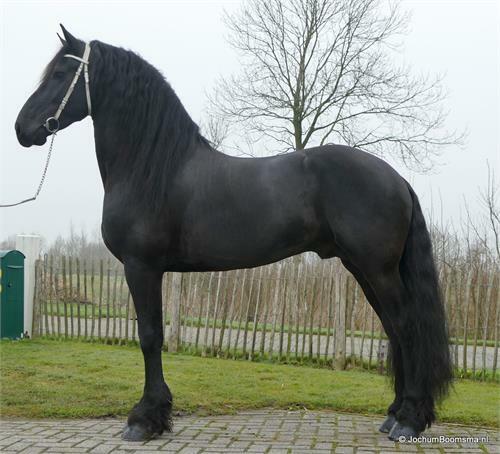 Hercules is one of the nicest Friesians on the market with the quality comparable to an approved stallion. His suspension is unreal. He is elastic, forward thinking, and just an athlete. 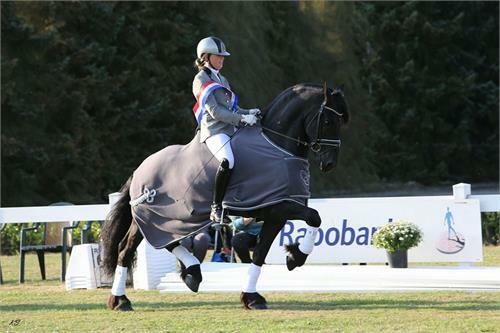 He has the talent and quality to compete at Grand Prix. 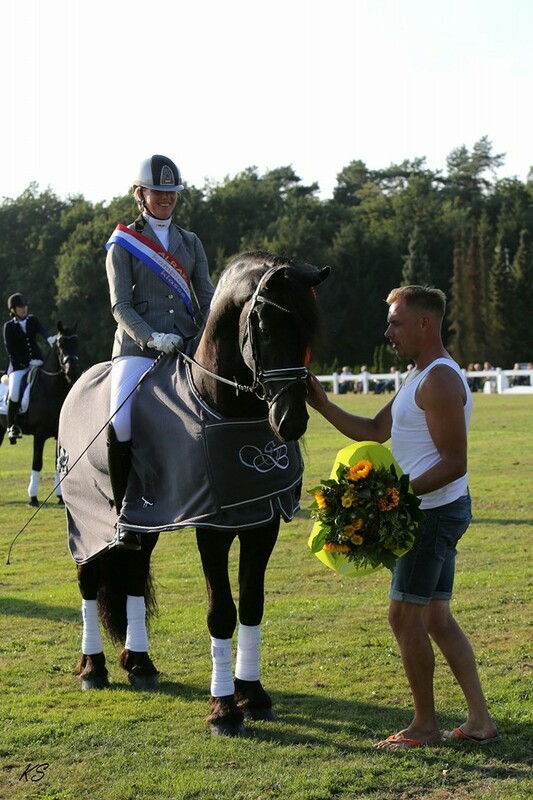 If you want to go to the winner’s circle in dressage, you need Hercules! He has charisma and beauty with the personality to match. 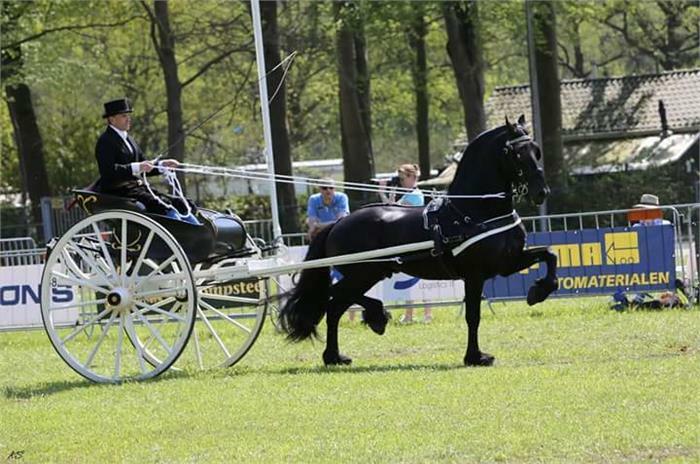 Hercules has several champion titles to his name both in dressage and driving. 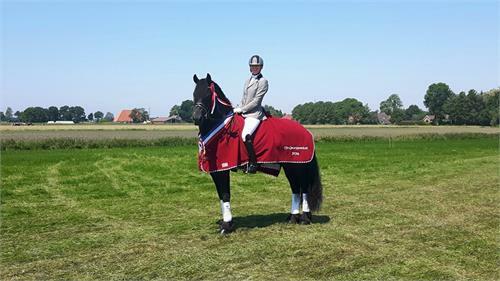 In 2016, Hercules won in competition in Oranjewoud, the province of Friesland prize in L1 class dressage. 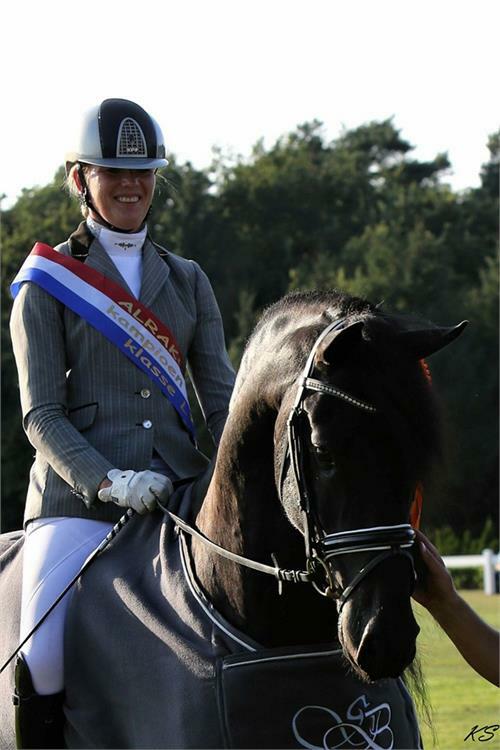 He also became Dutch champion during the summer KFPS outdoor championships in the L2 dressage. 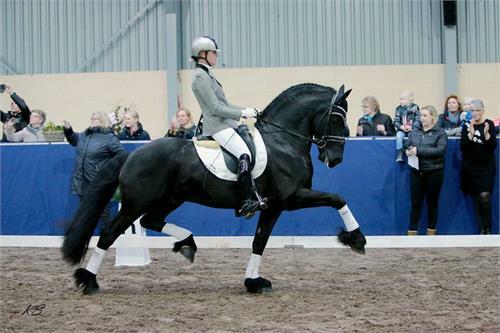 In 2017, Hercules was reserve champion at the regional championships in the class M1 dressage. 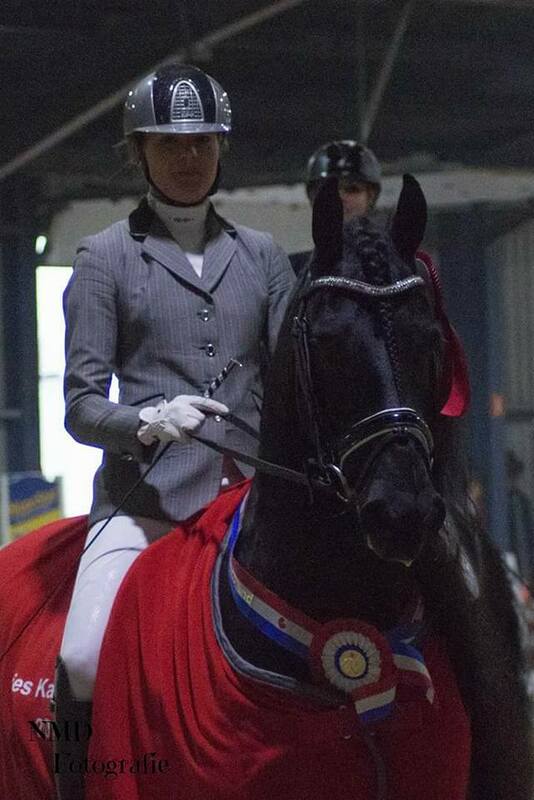 In March of 2017, he was Dutch champion during the KFPS indoor championships in the class M1 dressage. Not only is Hercules a dressage champion, he has also become champion tandem, and three-leaf clover. This VERY special boy has done MANY things. 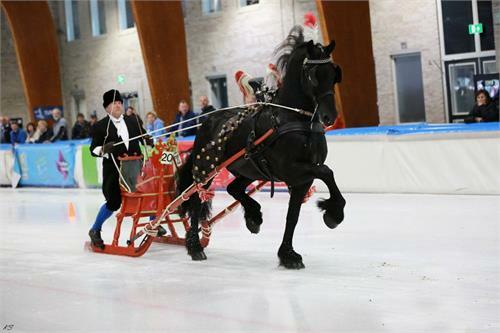 Recently, he went to a competition on the ice! They put special ice shoes on him and he pulled a sleigh. Be sure to look at the pictures. He was just perfect! 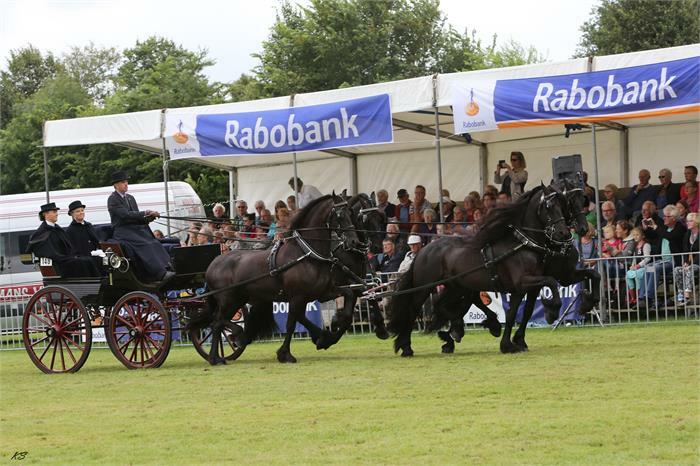 He was also selected to attend the opening of the provincial government building in Leeuwarden. He also did the carriage for the inauguration of the new mayor. 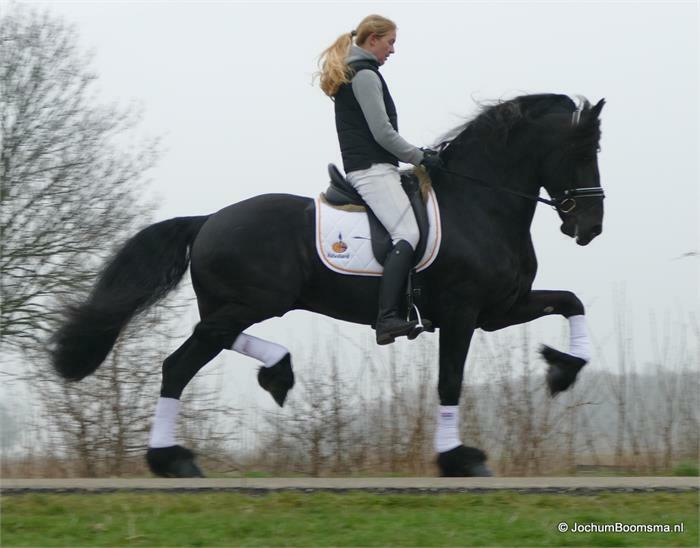 The nice thing about Hercules is that while he is extremely competitive in dressage, a junior or amateur rider can still ride him. He is not hot and spooky. He has an unbelievable work ethic. He will do ANYTHING for you. This horse will take care of you. Hercules also has outstanding breeding. His mother is sired by Brandus 345 Sport. 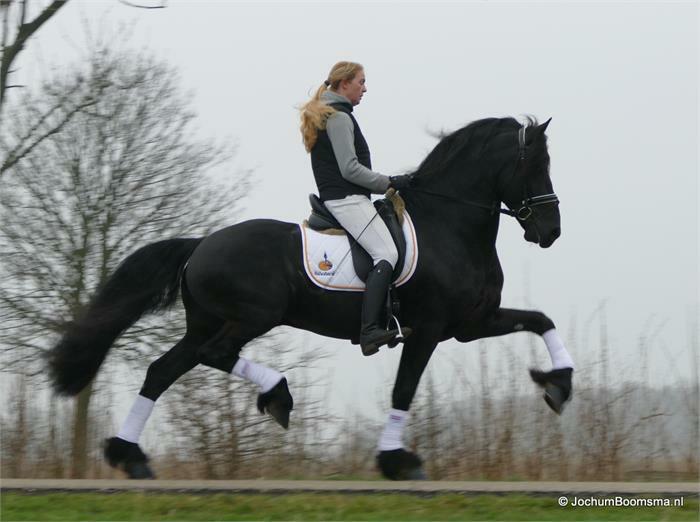 Brandus comes from the Stam line 50, which has produced more than 25 approved stallions. Brandus became World Champion in 1997 and 1998 at the world stallion show in Leeuwarden. 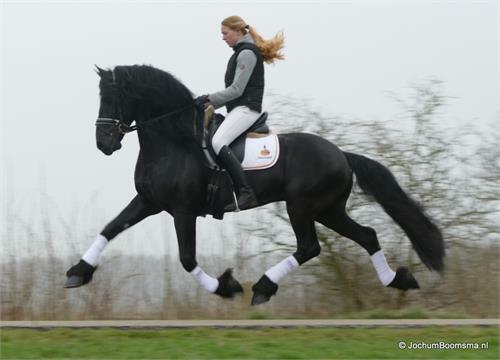 He is an incredible stallion with fantastic offspring- (like Hercules). 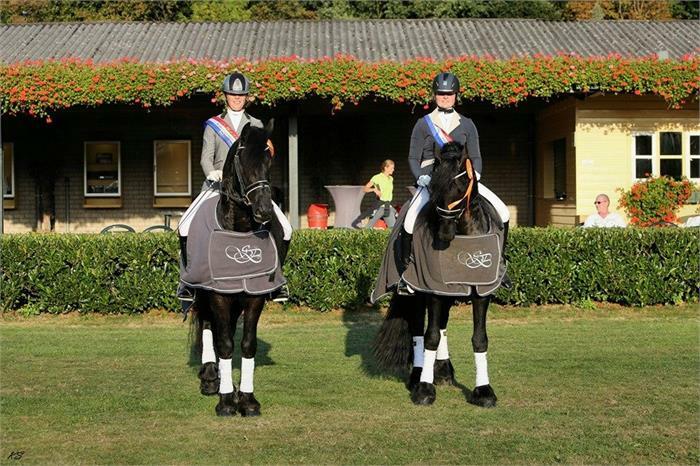 Many of Hercules’s relatives have been competing in the upper levels in Holland. Hercules is one of those horses that has the talent to go all the way in dressage. Hercules has an excellent walk with great reach. 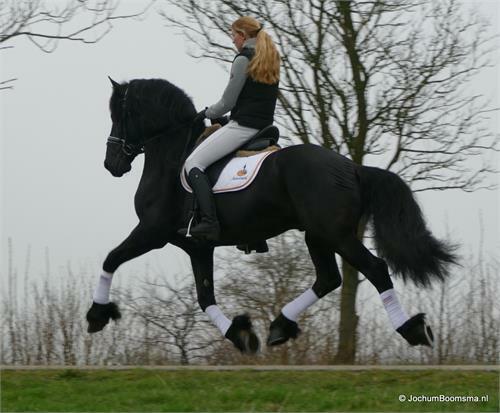 His extended gaits are out of this world. His lateral work is perfected. He is now perfecting his skills in Piaffe and Passage. Hercules is a package and what makes him special is that he can carry any type of rider, he is not the spooky type and he has the athletic ability to BE THE BEST! At the perfect age of 7 he already has so many accomplishments and has such a bright future ahead of him. This horse is not cheap but if you can afford the best, this is your horse. We just don’t see horses like this everyday. This is one of the nicest sport Friesians that we have seen in a long time.. 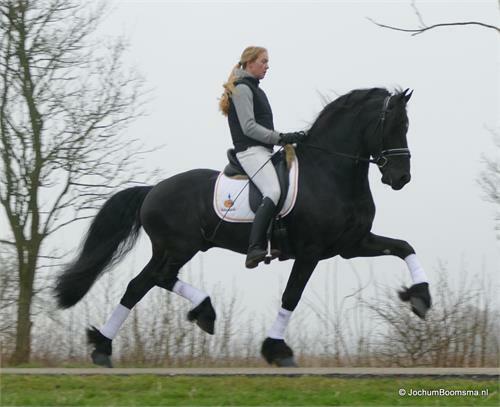 This is a once in a lifetime opportunity to have one of the nicest Friesians in the USA! 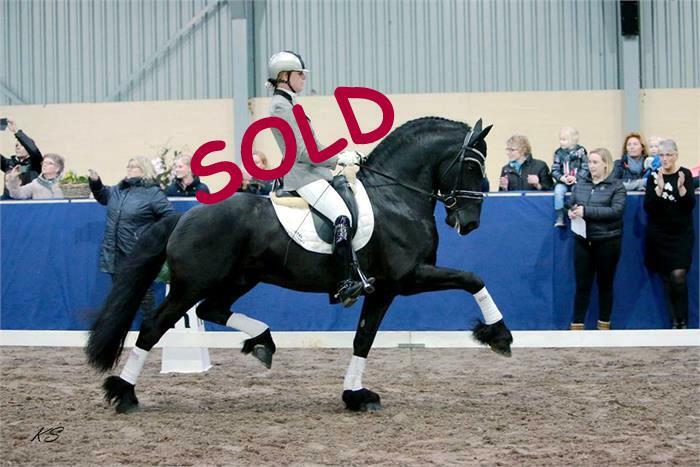 WE ARE THRILLED TO OWN HIM AND HAVE HIM FOR SALE AT FMP!